This recipe is quick to prepare and easy to digest, tastes great, and can hold you over for three to four hours. Recipes like this one harness the healing potential and power of organic whole foods. If you’re going to warm fruit for this recipe, try using a steamer. A good tip is to keep peach slices in your freezer — you can quickly steam them when you’re in a hurry. 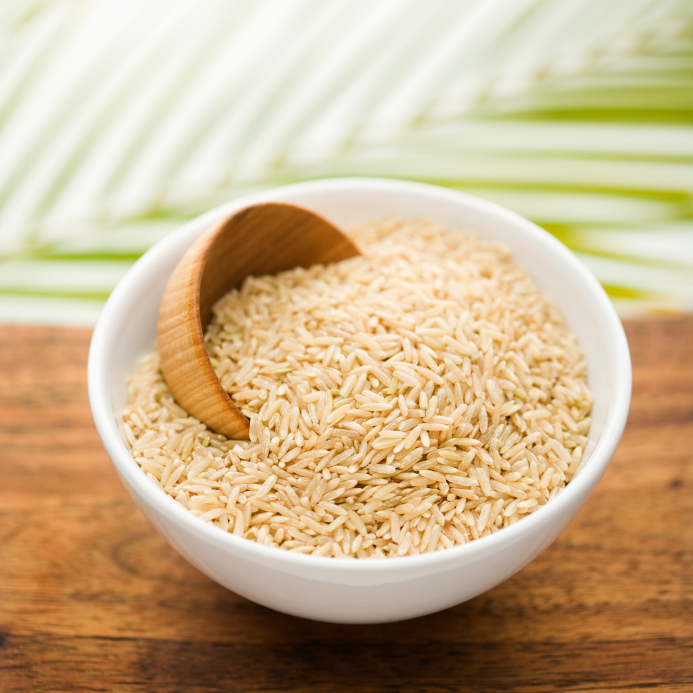 The protein extracted from whole-grain brown rice is easy to digest. In a bowl, mix the brown rice protein powder, ground flaxseed, cinnamon, and salt. Add the flaxseed oil and water to obtain a dough-like consistency. If you’re steaming the peaches, you can use some of the warm water from the steamer. Add the peaches, coconut milk, shredded coconut, nuts (if desired), and spices. Drizzle with a small amount of maple or agave syrup if desired. Flaxseed oil tends to go rancid quickly. Therefore, it’s best to buy only the smallest bottles and use within 3 weeks. You can buy several and preserve the extras in the freezer for up to one year. Per serving: Calories 558; Fat 37.9 g (Saturated 17 g); Cholesterol 0mg; Sodium 256 mg; Carbohydrate 33 g (Fiber 9.2 g); Protein 38.1 g; Sugar 14.9 g.